Making Hay of sea level rise estimates | Watts Up With That? People send me stuff. You may recall this story from last week that raised a number of eyebrows due to the claims made within it by author William Hay. Dave Burton decided to take him to task. So far no response. Subject: Re: Could Estimates of the Rate of Future Sea-Level Rise Be Too Low? I hope you’re enjoying the “Old North State!” Did you receive my previous email (below, w/ one typographical correction)? Perhaps you’d like to weigh in there. One meter of sea-level rise over the next 87.2 years would be an average rate of of 11.5 mm/year. 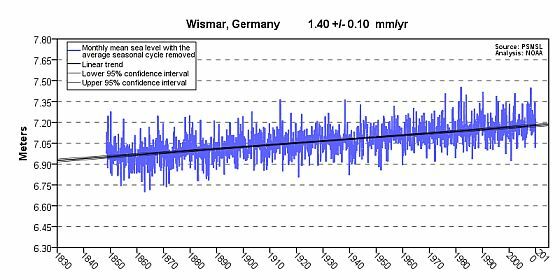 But actual sea-level measurements show that it is rising at a tiny fraction of that rate, and measurements at most locations show no sign of acceleration in the last 80+ years. The lack of acceleration in rate of sea-level rise is obvious. So why do you say that these current measurements suggest an average rate of eight times that for the next 87 years?? The main contributor to changes in the volume of the ocean basins is thought to be GIA: the presumed sinking of the ocean floor due to the addition of meltwater from ice sheets circa 10K years ago. But GIA accounts for over 1/3 of the often-claimed 1.8 mm/year average rate of coastal sea-level rise (from tide gauges) over the last 100 years. That hardly seems negligible. Also, a 0.3 mm/yr GIA “fudge factor” to account for presumed post-glacial sinking of the ocean floor is usually added to satellite-measured rates of sea-level rise when they are reported. If “sea level” means the level of the surface of the sea, then adding that adjustment to measured numbers yields a quantity which can no longer be truthfully called “sea level,” but the addition inflates reported satellite-measured sea-level rise by more than 10%, so I don’t think that’s negligible. Is that a typographical error? Weather systems do move water around, but only over relatively short time time spans. For century-scale time-spans, that factor can be neglected. This seems to be based on outdated information. The latest ICEsat measurements indicate that Antarctica is gaining ice mass. Do you realize that sea-surface temperature changes do not affect coastal sea-level at all? (That’s one of the ways in which coastal tide gauge measurements differ from satellite altimeter measurements, and one of the reasons that it is always a mistake to conflate the two.) Gravity balances mass, not volume, so when ocean surface waters warm or cool, the resulting density changes have only local effects, rising or sinking in place, like icebergs. Only if there are density changes in the ocean depths can it affect coastal sea-levels, and no such changes are thus far in evidence. Why Seas Are Rising Ahead of Predictions? ← Earth on a bad acid trip? Has anyone seen this video yet. It’s awesome just like me. At least Dave Burton is on the case, and rightly asking the correct questions. I can’t remember which thread(s), but myself and others have pointed out the many different ways SLR can be affected. Currently, AFAIK, there is no method of being able to ascertain the various numerous other effects on SLR in isolation – and hence they are all largely estimates and thus ‘fudge factors’ when applied in any corrections! 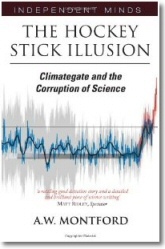 In short the SLR data, is no better than the Global temperature data – i.e. its a ‘man-made’ calculation of a metric that has been largely guessed and fudged/averaged/twisted and tortured to ‘give’ up some results. 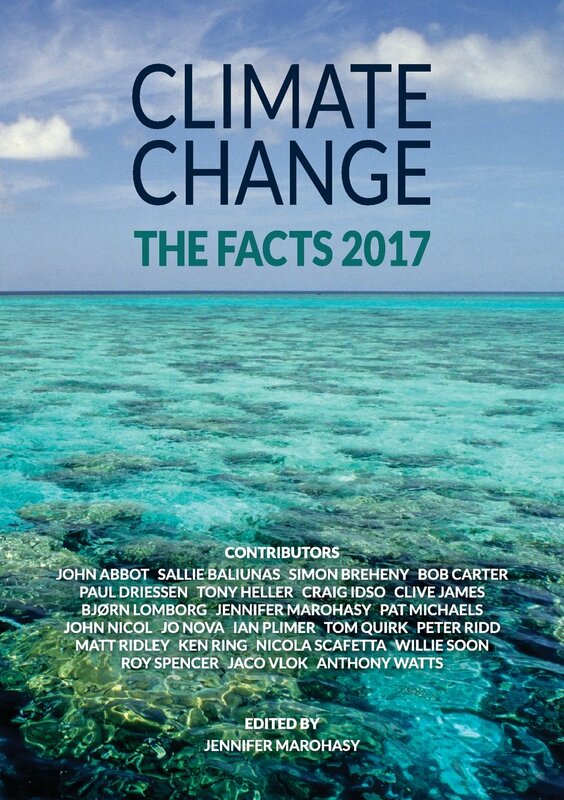 The funny thing is, that having a SLR rate change, based on an ill-defined and largely immeasurable metric – is a flight of fancy, all based on the simple fact that ALL the ‘other’ effects (other than AGW) are largely static/fixed or estimated! Of course, using any of this to produce alarmist cr*p, is acceptable – but only to the alarmists. It’s rather sad, really. And a paper published in Quaternary Science Reviews (Oct 2012) “Post-glacial sea-level changes around the Australian margin: a review” by Lewisa et al. shows sea levels around Australia were about 1 to 2.5 meters *higher* than the present 7000 years ago during the Holocene Thermal Maximum. Translation: since the Holocene Optimum, sea levels have fallen and the current rate of rise is approx 1.6 mm per year which is about 160mm per century. Perhaps Dr. Hay would like to answer these, too. THE next United Nations climate report will ”scare the wits out of everyone” and should provide the impetus needed for the world to finally sign an agreement to tackle global warming, the former head of the UN negotiations said. In 2011, he was appointed to chair the World Economic Forum’s Global Agenda Council on Climate Change. An excellent and well informed message. It will be interesting to see what Will Hay will say. As always, if we are interested in rate of change it’s much more informative to look at rate of change than the time series. They’re data does not go beyond 2000 so it would be good to see an up date of this method the the current rate will be a bit under the 2 mm/year mark which is close to the other studies noted by sophocles above. Dave’s last point is spot on. Satellite charts show that the estimated 3mm or so global rise is occurring, by and large, where the tide gauges aren’t – in other words away from continental coastlines. Only gauges in the western Pacific and W and NW Australia show any large rises and recent accelerations, where SSTs have increased markedly. Where SSTs have cooled, for example the western seaboard of the US, levels have dropped over recent decades. Satellite charts confirm that that the much-reported Sallenger et. al. “north-east hotspot” is a myth. If you torture the data enough, it will always confess and produce a hockey-stick. If gauge data is used to show pre-satellite rates of rise, then that should also be used to show recent rates. If there are rate changes globally, they will show it, and in the main, they don’t. Comparing current satellite data with previous gauge data is comparing apples and oranges. Well this is just what was predicted by global warming models: the water will pile up in the middle of the oceans where we can not measure it accurately. Then, at the end of the 21st century it will reach a tipping point and spread out across the globe causing massive flooding (especially on the U.S. east coast). MILLIONS WILL DIE ! We must do something now! Oh dear, Mr de Boer does seem to have his grubby little mits in all sorts of pies, does he not? Curious how each UNIPCC report has to be scarier than the previous one, it’s worse than we thought sort of thing. Either scientists are getting better grips on Climate Change, or they were useless at it previously, which suggests the reports were not much good before, but still where are the benefits of Global Warming, it can’t all be bad that is impossible! GIA does not affect oceanic crust much but continental crust, which supported the glaciers during the last ice age, is. 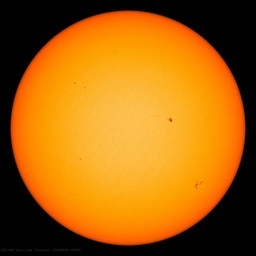 This crust will be subject to a rise with ice melt due to the IA and will affect the, much larger, oceanic crust surrounding that continental crust. This process takes thousands of years to complete. Oceanic crust is cooling, from 1200C, away from spreading centers which is why seas get deeper as distance from the center increases. Sea level will rise due to thermal expansion, ice sheet melt and river sedimentation. All river sediment ends up eventually on the sea floor displacing water. We must recognize the difference between water and land movement as they can be confused and blame only on rising sea levels brought firing alarmist concerns. I thought that Will Hay FRAS was an English comedian and amateur astronomer (also an engineer before turning to the stage). But then this was William T Hay. Sounds like a much better scientist than William W., though. I think this guy Hay needs a little sympathy as he is clearly rambling, he is curator of a museum and obviously a little past his sell-by date. The University of Chicago says his last research paper was published 5 years ago. He has also been involved in some kind of controversy over divine intervention in the oceans, as supposedly recorded in the Koran. …… and to be further consistent in their buffoonery, shouldn’t they also subtract glacial meltwater effects ?? This website does science a real service by focusing the spotlight on persons like Wm. Hay of the U. of Colo., who deliberately fabricates and then instructs his charges that his fabrications are the truth. Seldom is seen in science such fabrication as that seen in the sea level monitoring at the U. of Colo. The science community traditionally had no means to catalogue such egregiousness as represented by Hay. Here, at this website, is provided the means to expose such scientists and to publicly identify and censure them, and this needs to be done. It is unfortunate that such a necessity be put upon us, but we have no other means to defend against those in public institutions who fancy themselves as loyal guerillas of the Cause and whose chief tactic is to bend truth and fabricate. November 7, 2012 at 5:05 am…….Say, does the U. of Colo. deduct this sedimentation increase from its GIA? If not, why not? I dont know the answer to that question but it seems I remember seeing an adjustment to their rate of sea level rise based on expansion of the ocean basin. And I would add that some studies have looked at the amount of groundwater depletion running into the oceans. Is it being suggested that the sediment in suspension is not affecting the sea level until it settles to the sea floor? Good grief! I really appreciated the clarification about the satellite altimetry and the tides. We see from time to time the surface of the planet shown with depressions here and there and local gravity variations. Are these related and are they related to sea water temperature? Water is quite expansive. For example, in the El Nino detection zone off S America, does the sea level go measurably up and down when the waters are warm or cool? I understand the depth and therefore the volume involved is quite large. It puts an interesting dash of spice into the matter. I also have a problem with that statement. If the water in the oceans depresses the seafloor, what does sediment do which weighs more than water? This all sounds like the discernment of angels on the head of a pin, that is, nothing of significance. It won’t take long for a worldwide network of CORS stations taking measurements every few seconds (from 100+ satellites) to nail down the absolute rate(s) of sea level rise. I fear Dr. Hay’s attempt to jump on the Global Warming bandwagon will be a career ending blunder. Unlike other climastrologists, his prediction will easily be proven wrong in just a few short years, well within his lifetime. re: the sediment in water issue. From a physical geology perspective – the mere fact that sediment is comprised of ‘material’ and thus has a physical mass and volume – automatically means that it must displace water from the water body it enters. Now, obviously, the rate of erosion of the land, and the rate of sediment entering into the sea is largely unknowable (in real terms, though I’ve no doubt someone will have ‘estimated’ it somewhere!) but I’d guess it is rather tiny compared to the actual water volume of the seas. Nevertheless, it is yet another factor that needs to be considered as part of the SLR problem. Along with all the other possible SLR ‘input’ effects, anyone trying to pin down AGW as a major source of SLR (and thus to justify AGW) – is simply mad IMHO. I read Hay’s abstract when it first came out. My reaction then and now is the same. Mostly BS that should be ignored. … does the sea level go measurably up and down when the waters are warm or cool? Billy, it’s not water temperature that’s affecting sea level at Tuvalu, it’s air pressure. High air surface air pressure in the western Pacific (e.g., Tuvalu) is a characteristic of El Niño conditions. Note that sea level falls, rather than rises, at Tuvalu during El Niño (warm water) conditions. OK, it’s indirect – high air pressure – stable atmosphere – no clouds – warm sea – 1mb>1013mb =1cm sea level depression. I also have a problem with that statement. If the water in the oceans depresses the seafloor, what does sediment do which weighs more than water? I think it also important to note that the ocean floor is very thin compared to the width of it and that it is under tremendous pressures from expansion mid ocean and subduction / compression at the edges. This means it tends to buckle. During the quake in Indonesia ( 9 ish) that cause a massive tsunami, that part of the crust moved up about 9 feet (IIRC). Similarly, the tsunami that hit Japan was from a big jump in crustal height during that quake. On longer time scales, whole masses of land are shoved up, or fall back below the surface. Pretty much all of New Zealand, for example. Look in the Sierra Nevada mountains of California and you find sharks teeth and sea shells. Or how about the Grand Canyon? It went into a large trench about 9 MILES deep in the ocean, filling it. There are very huge changes in the contour of the ocean bottoms happening all the time. Some very slow, some very fast. It is an error to assume that they all just average out somehow. In Florida on the Keys I was on the ‘beach’ of a park. Then it hit me. The coral that made the key was a couple of FEET above the water line. In the not too distant past, it MUST have been below water level. Coral does not form above water. The simple fact is that the surface of the earth is dynamic and unless you have complete shape and depth data on the entire ocean bottom AND accurate data for all the land, it isn’t possible to say why the ocean rises or falls. A 10 mile thick sheet that’s 2000 miles long can easily flex in the middle when being squashed from the ends. And it does. Peter Miller wrote, “this guy Hay… has also been involved in some kind of controversy over divine intervention in the oceans, as supposedly recorded in the Koran,” and piquied my curiosity. I wondered what Peter was talking about. (I wish WUWT supported some sort of “private reply” or email feature!) So I googled for it. I have links to that (44 page!) paper and many others on my sealevel.info web site. Click on “papers.” That paper is in the “Sea-level rise acceleration?” section.